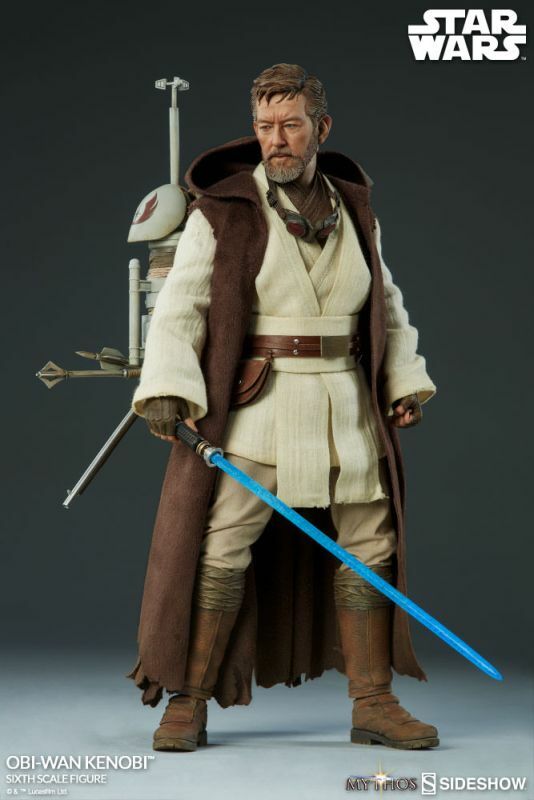 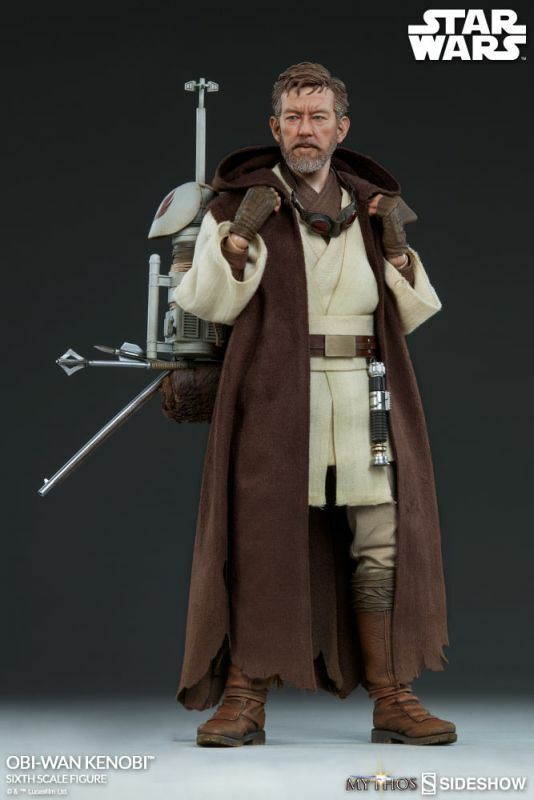 With the excitement of Baltimore Comic Con, we missed the pre-order by Sideshow for their new 1:6 scale Mythos Obi-Wan Kenobi figure. 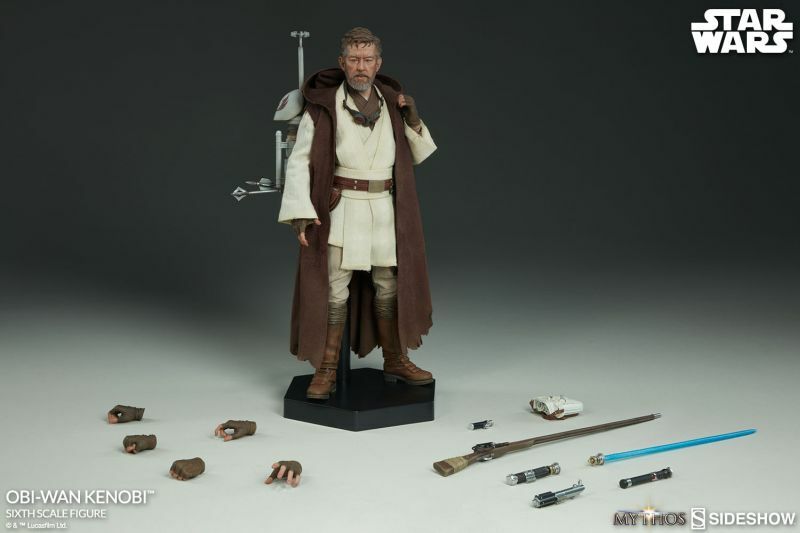 The pre-order went live on 9/22 with Obi-Wan setting you back $260. 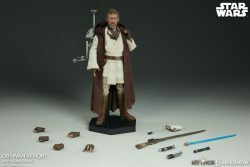 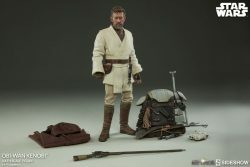 Obi-Wan comes with a detailed cloth outfit, multiple interchangeable hands, Anakin Skywalker and Qui-Gon Jinn lightsaber hilts and his own lightsaber with a removable blade. 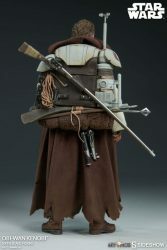 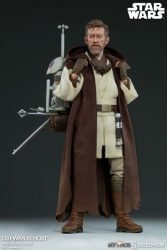 Obi-Wan has a backpack with parts of his Clone Wars armor and Tusken weapons on it, and he also has macrobinoculars, Tusken rifle, droid caller, and more. 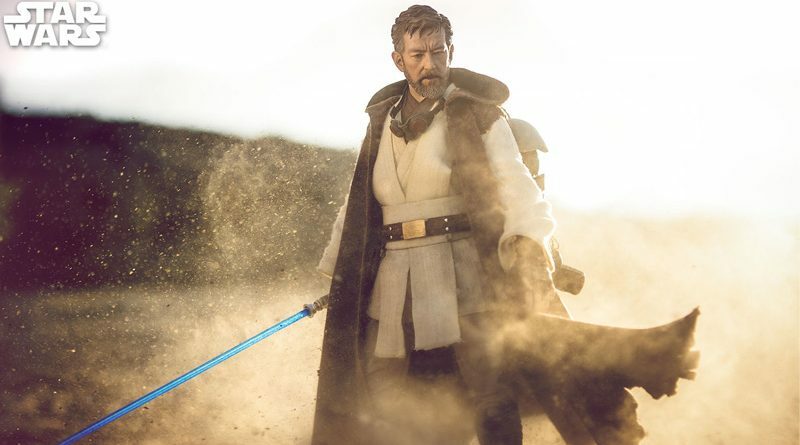 Obi-Wan is scheduled to be released between September and November 2018.